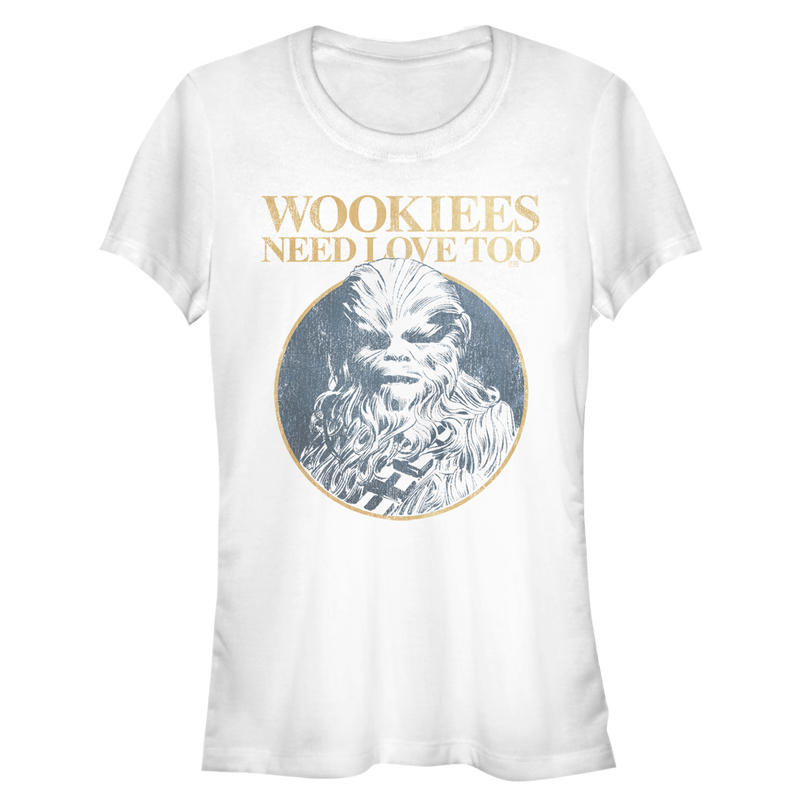 New Star Wars "Wookiees Need Love Too" Valentine's Day T-Shirt now available! 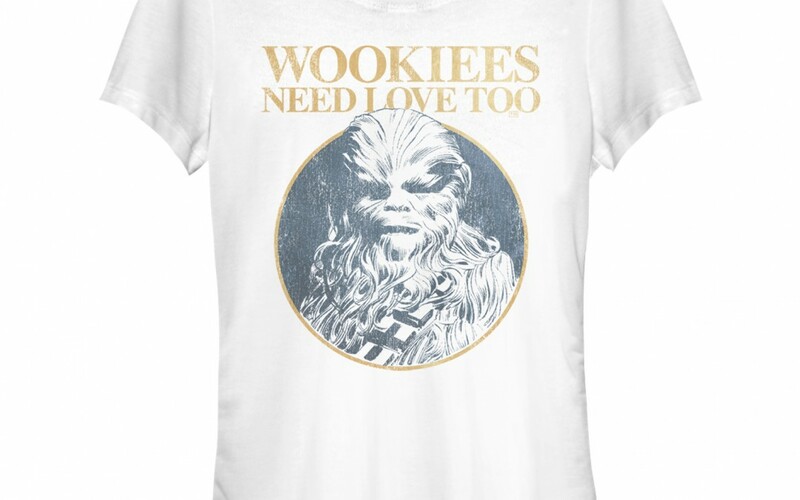 New Star Wars “Wookiees Need Love Too” Valentine’s Day T-Shirt now available! Walmart has debuted a brand new Star Wars Valentine’s Day themed item: a “Wookiees Need Love Too” t-shirt! This t-shirt costs $26 and shipping is free. He may be a Wookiee of few words, but Chewie deserves someone special on Valentine’s Day too! Show your support for Chewbacca with the Star Wars Wookiees Need Love Too Juniors’ T-Shirt. A retro distressed graphic shows off your favorite cuddly Wookiee with “Wookiees Need Love Too” above him on this fitted Star Wars Valentine’s Day tee.